Our Iron on Retro Letters are Hand Cut from Liberty Of London Tana Lawn with a bonded reverse. 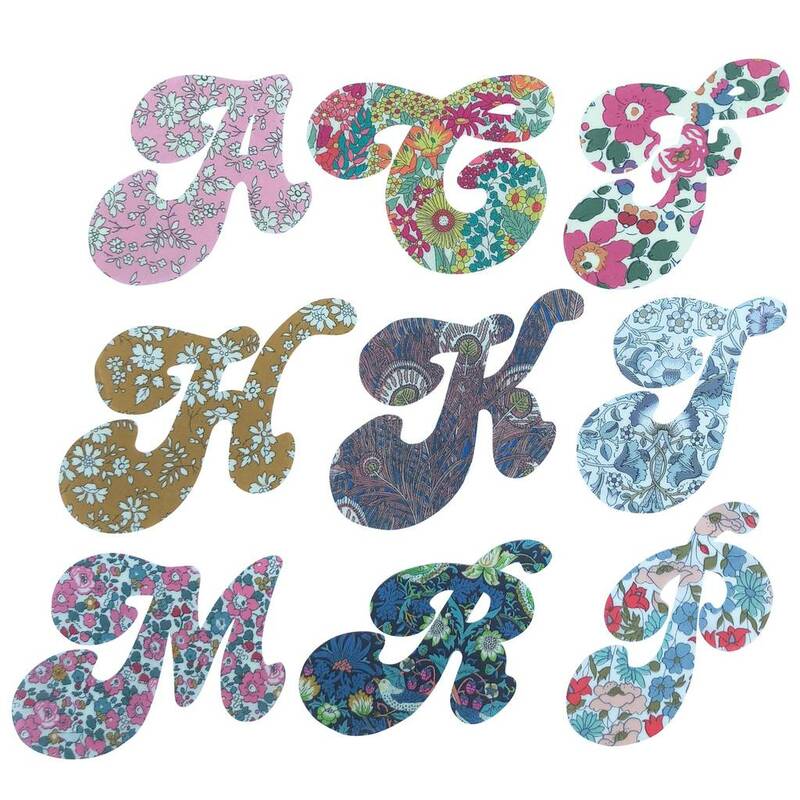 Now you can do your own personalisation with our Hand Cut Liberty Print Letters. 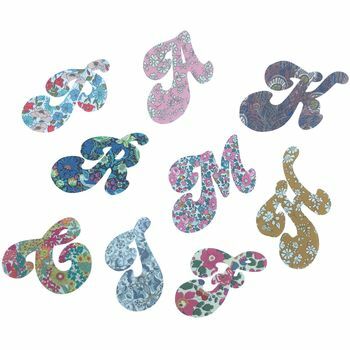 These Letters can be fused onto T shirts, bags, cushions, notebooks and other household items and accessories. 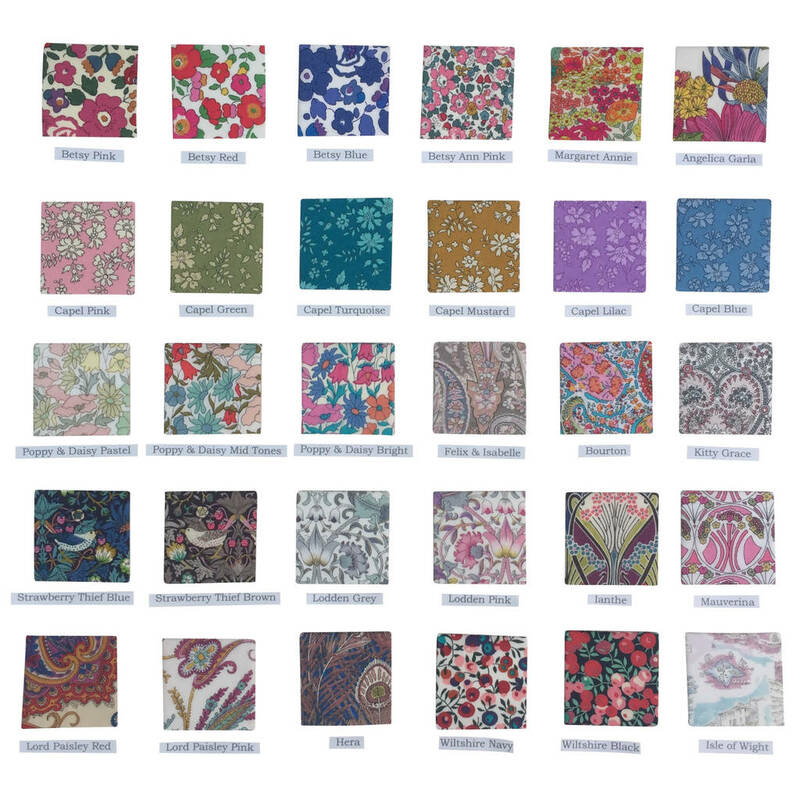 In a choice of thirty classic tana lawn prints they make a beautiful decorative touch. 100% Cotton Tana Lawn with a bonded reverse, simply peel off the paper backing, put in position, cover with a 100% cotton cloth and press with a hot iron. They are washable to 30 degrees but we advise appliqueing to secure. Our Retro Letters are available in four sizes: 9cm, 12cm, 15cm and 20cm.